Handmade creations are an essential part of Marie Fortin's life. Jewelry allowed Marie Fortin inspirational artistic expression. A vehicle through which the inter-juxtaposition of her ancestral origins: American Indian, French and Anglo Saxon and contemporary life style collectively harmonize. Avant-gardist, creator and visionary her deep rooted spirituality via her sculptured jewelry is made manifest in the today’s world. Davmani Is the link between the past and the future, tradition and modernity nature and innovative technology. 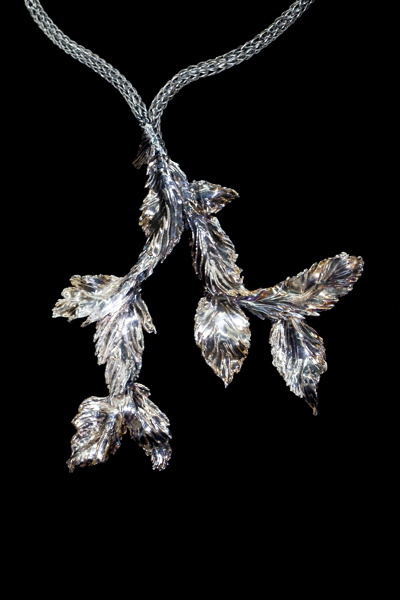 Each sculptural masterpiece pays homage to memories of her ancestral past : Nature, Flowers, Trees but also to playful abstract themes, where form and shape dance and flirt together eventually forming a unique union, a unique piece of jewelry.